We sell Golden Charter The Independent Way Plus pre-payment funeral plans. Brochure available on request. 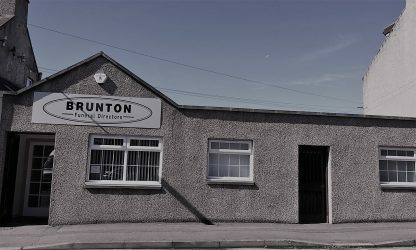 The Independent Way plans are based on Brunton Funeral Directors’ prices and therefore cost less than purchasing the same plan elsewhere. We choose to sell Golden Charter’s plans because of their excellent value for money and the safe way they store payments – in a trust fund. These plans allow you to choose your funeral director which many other companies do not. When purchasing a plan, always read the small print and ensure you can choose a local funeral director, and if your circumstances change and you move out of the area, that your plan can allow for this.